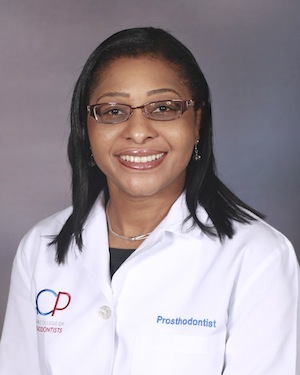 When you visit our Prosthodontic office, your smile is our top priority. 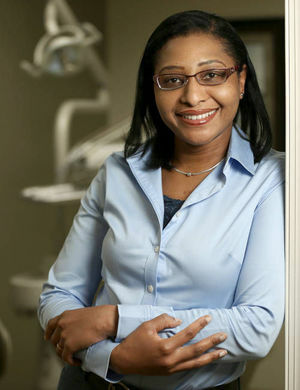 Dr. Adeline Yuh and the entire team are dedicated to providing you with the personalized, gentle care that you deserve. As a prosthodontic office our goal is to replace teeth that are missing and to fix teeth that are damaged so that our patient’s oral health is restored to an exceptional degree of comfort, function, and aesthetics. We specialize in bridges, crowns, dental implant retained teeth, cosmetic dentistry, dentures, removable partial dentures, teeth grinding, teeth whitening, congenital mouth defects, and veneers. 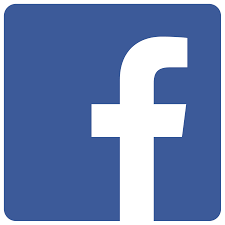 Our number one objective is to provide you with the best service available. 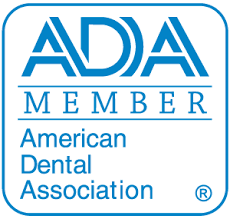 By working hand in hand with other dentists in our area, we are able to provide service unlike any other practice. Part of our commitment to serving our patients includes providing information that helps them to make more informed decisions about their oral health needs. This website, along with the American College of Prosthodontics, are resources we hope you’ll find both useful and interesting. 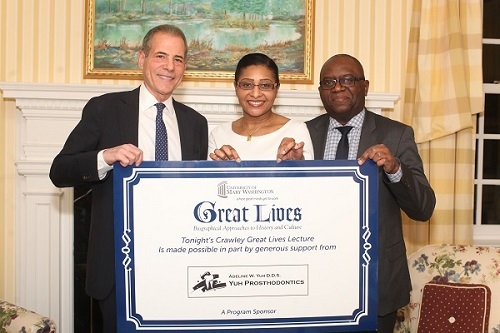 Dr. Yuh is a proud sponsor of The 2018 and 2019 William B. Crawley Great Lives Lecture Series! 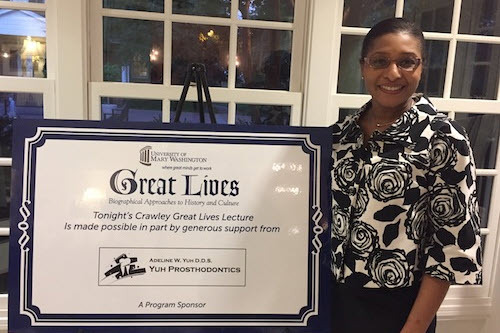 Fredericksburg, Virginia Prosthodontist, Dr. Adeline Yuh is dedicated to prosthodontics from prevention care to restorations and implant dentistry.